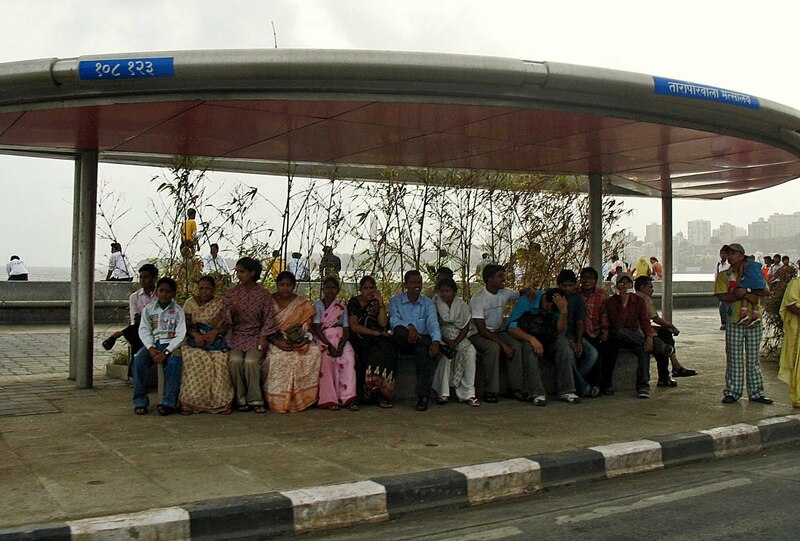 Bus stops in Indian cities are not always crowded or unruly. There are some stops where there is place to sit and the passengers line up in an orderly fashion. These are usually places where the bus-service is good. Here are some examples of people waiting for buses in Mumbai and Pune. This bus-stop is on Marine Drive, Mumbai, where men, women and children are sitting at a bus-stop, waiting for the bus to arrive. 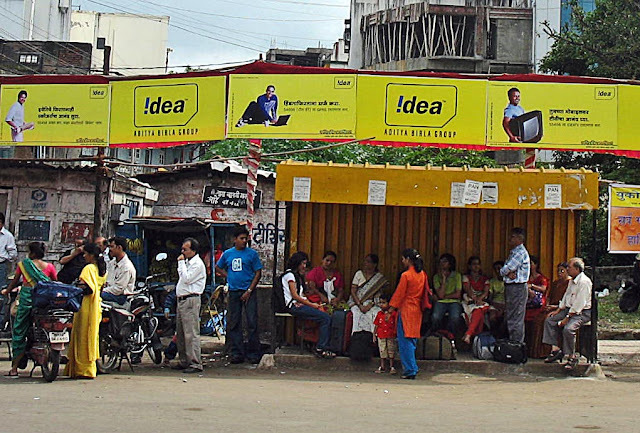 This bus-stop is at Pune. Here too people are sitting inside the stop, away from the blazing sun. At this bus-stop there are not too many people. There is ample place for passengers to sit and wait.